Groups like the Media Research Center and the new right-leaning media watchdog group Media Equalizer are putting pressure on sponsors to pull their ads from left-leaning media because they say the shows on these networks are personally attacking conservatives and espousing conspiracy theories, Politico reported. Some of these smears include reports about the Trump campaign’s alleged collusion with Russian agents. MRC and Media Equalizer say it is a response to the left’s efforts to pressure advertisers to stop advertising on certain Fox News programs, such as Bill O’Reilly and Sean Hannity, and other conservative media platforms. “[W]e will be publicly listing the advertisers of these programs and asking them to defend their decision to continue airing ads on these shows,” Bozell said in the statement. “Every time one of their on-air personalities go beyond political commentary and engage in smear and hate, we are going to unleash an army of activists to contact these advertisers by phone and through social media to ask them why they are advertising on programs that are so biased, repulsive and morally bankrupt,” he added. 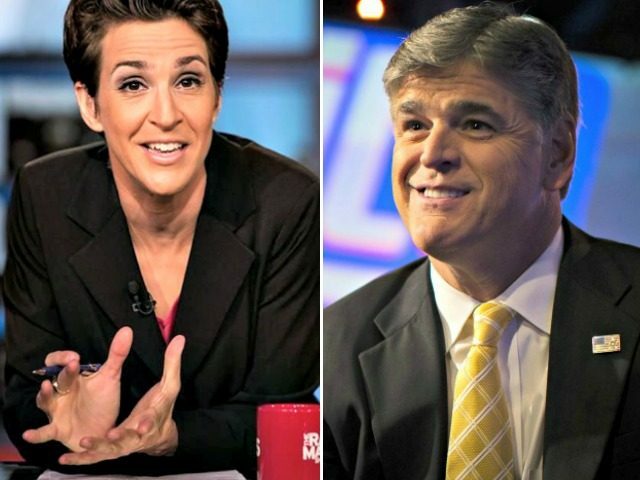 Advertisers pulled ads from Hannity on Fox News when host Sean Hannity continued to investigate the circumstances surrounding the murder of DNC staffer Seth Rich, after bowing to pressure from left-wing groups. Earlier in the year, 90 advertisers dropped their ads from Bill O’Reilly’s The O’Reilly Factor over sexual harassment allegations, also bowing to pressure from left-wing groups. O’Reilly was eventually let go from Fox News despite his status as the top-rated cable news host in America.